Summary: Here I describe the ten types of samadhi listed in Patanjali’s Yoga Sutras and how they are related, according to I.K. Taimni’s descriptions in his book The Science of Yoga. Before proceeding, please note: If you find this material of interest, you may be interested in two of my free ebooks. A collection of all my articles on yogic methods and samadhi, including this article about the 10 types of samadhi. An overview of the methods and philosophy of yoga and how it links to modern science and Western philosophy. In What is Science? I did not describe in a systematic way the various types of samadhi. Had I gone into too much detail it would have made that a different essay. A comment from Durga Ma has prompted me to write this summary on the ten types of samadhi. It must be emphasized that all the types of samadhi are altered states of consciousness. They are outside the experience of normal people who do not practice yoga. And even for those who practice real yoga – Raja yoga – the various types of samadhi are quantum levels apart, probably quite literally so, with respect to attainability. Non- practitioners of yoga can get a small glimmer of insight into the types of samadhi by reflecting on the differences between their waking and dream experiences, which are two major forms of consciousness accessible to everybody. In the Yoga Sutras different adjectives are added to the word “samadhi”, such as “sabija”, “asamprajnata” etc. I.K Taimni, In The Science of Yoga, identifies ten types of samadhi in the Yoga Sutras. All ten types of samadhi share in common the absorption of the yogi in the state of extreme concentration of the mind. 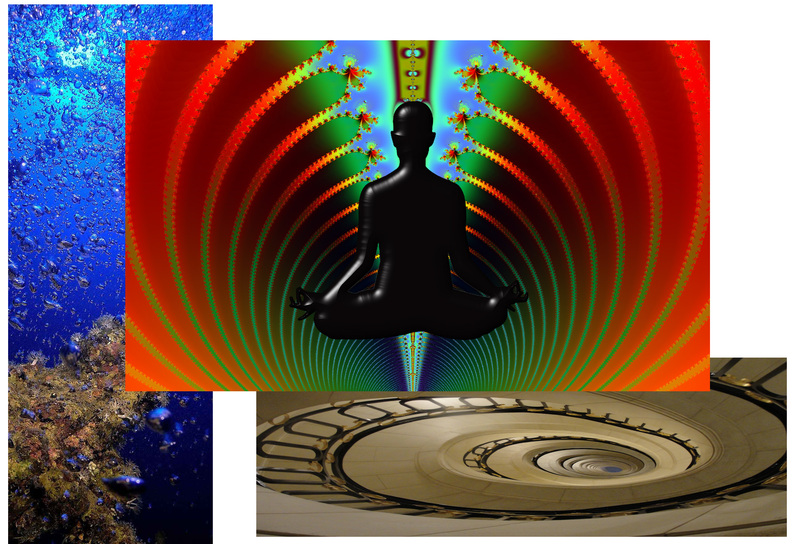 What distinguished the ten types is that each occurs at a different level of consciousness. To understand the levels of consciousness, one must be aware of cosmologies that include the nonphysical worlds. As a theosophist, Taimni was well-aware of the theosophical septenary scheme of the nonphysical planes. 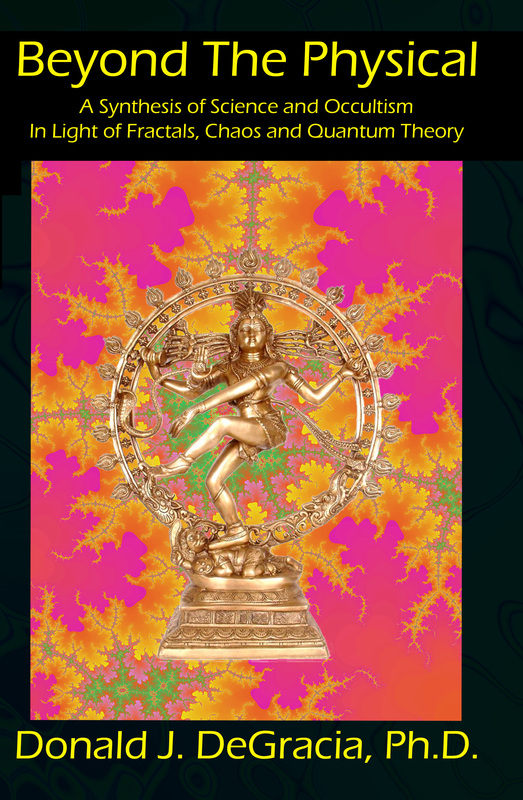 As a scholar and translator of ancient Indian texts, he was aware of other maps of the nonphysical worlds, including the 4-fold scheme used in the Yoga Sutras (described in part 9 of What is Science?). As we show below, Taimni mapped the different forms of samadhi to both the 7-fold theosophical scheme and the 4-fold classical Vedanta scheme of the nonphysical worlds. It is taught particularly in theosophy that one interacts with the nonphysical planes via nonphysical “bodies” or “vehicles”. The physical body is an instrument allowing the mind to interact with the physical universe. The nonphysical bodies allow the mind to interact with the nonphysical planes, and have names such as the “astral body”, “mental body”, etc. However, it is immaterial whether we think of the different levels of consciousness as occurring via nonphysical bodies, or just think of them as different global states of consciousness. The effect is the same for all practical purposes. Some of the methods of Raja Yoga serve to train the mind to operate at the different levels of consciousness. Other methods train the mind to transfer consciousness amongst the various levels. Therefore, four types of samadhi are distinguished by the level of consciousness at which samadhi is performed. Four types of samadhi are transition states between adjacent levels of consciousness. The remaining two types of samadhi are very special states of consciousness. After the eight limbs (yama, niyama, asanas, pranayama, pratyahara, dharana, dhyana, and samadhi) are mastered, samadhi is the means used to dive through consciousness. Learning samadhi is not the end of yoga, it is the beginning. This is very important to understand. The ten types of samadhi form a sequence whereby consciousness descends from its superficial into its deeper layers, one after another. It must be recalled that the goal of yoga is to “join”. To join with what? To join with the infinite. In the Yoga Sutras the joining with infinity is called “Kaivalya”, which means “alone” or “isolated”. This is a concept the Western mind calls “absolute infinite” and occurs in the intellectual context of Georg Cantor’s transfinite mathematics. To the Western mind these are mere intellectual ideas. In yoga, the experience of the infinite is the coveted reality. It is called “Brahman” in Hinduism, but sometimes Parabrahman, sometimes Parashiva, sometimes Parameshwara. Whatever it is called, it is the experience of everything. That is why Patanjali called it “Kaivalya”, “alone”. There is nothing beyond, beside, or outside of it. It is all that is, was or ever will be. The ten types of samadhi are the sequential stages one must pass through in moving from the relative existence of our waking consciousness to the state of infinity, or Kaivalya. Let me say that again so it is crystal clear: yoga is the protocol, method, steps, by which we can directly experience the infinite. The steps from the relative to the Absolute are the ten types of samadhi. Let us first name and organize the ten types, then return back to how they cause this sequential passage from the waking world of relative-ness to the state of infinity or Kaivalya. Figure 2: Relationship between samprajnata and asamprajnata samadhi. We can see that he is showing the transition between two different types of samprajnata samadhi. He is showing the “sinking through consciousness” process that samadhi allows. As I stated before, Taimni shows in this diagram the exact mechanism that allows consciousness to transfer between its different global states. This diagram applies as to the transition from the waking world to the dream state of an ordinary person as much as it applies to a yogi transferring consciousness between any of the four worlds. It is an extraordinary diagram and one of the most important diagrams you will ever see. So much is explained by this diagram it isn’t funny. However, it’s not my intent here to dwell on the wide ranging implications, which I have done to some extent in my 2nd blog post. Here I show this diagram specifically with respect to the four types of samprajnata and four types of asamprajnata samadhi. Figure 3: The descent through consciousness via the 10 types of samadhi. I think this diagram too is stunningly brilliant. It is completely self-explanatory. But I will walk the Reader though it anyway. The dissolution of the pratyaya and accompanying release of artha at the vitarka level will create a momentary state where there is nothing in consciousness (nirvitarka samadhi). This state is something like a vacuum. As depicted by the circles with arrows, the “direction” of consciousness moves from being outwardly directed, called paranga cetana, to inwardly directed, called pratyak cetana. This is asamprajnata samadhi at the vitarka to vicara boundary or nirvitarka samadhi. After some practice, the yogi will be able to fully transfer consciousness from the vitarka to the vicara level, where the pratyaya now takes on a different and deeper form. Samadhi now is called savicara samadhi. The yogi now must learn to “break through” the pratyaya at the vicara level. Success leads to pratyak cetana at the vicara level, called nirvicara samadhi, which is the transition state from the vicara to the ananda level. Analogous processes repeat at the ananda and asmita levels. At each level of consciousness – vitarka, vicara, ananda and asmita – deeper and deeper levels of meaning are discovered in the pratyaya. In this fashion, one can, in a simple minded way, think of the pratyaya as like a rope that the yogi uses to pull his or herself deeper and deeper into consciousness. As seen in Figure 3 on the left, Taimni maps the 4-fold yogic cosmology to those of classical Vedanta and also to the 7-fold scheme of Theosophy. It is to be noted that in each case, the lowest stage of samadhi – savitarka samadhi – occurs in the lower mental body. This again reinforces the notion that all forms of samadhi are altered states. 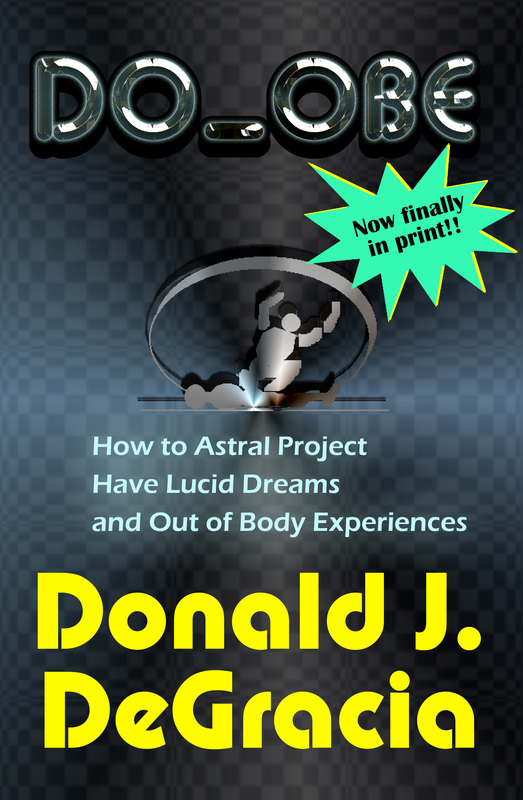 Even in dreaming, we use the astral body, and not the mental body. So, the lowest stage of samadhi is an altered state more subtle than the dream body we all experience when we dream during sleep. It must be noted I am describing the mechanics of these processes. The above descriptions gives no indication whatsoever of the actual contents in the consciousness of the yogi. These are very extreme and unlike anything we experience when awake. Sublime is an understatement of the highest order. But that is all I will say on this aspect since we are discussing only the mechanics. At the asmita level, the yogi is now at the deepest possible level of conscious contents, the finest possible level of vrittis. There is nothing left of the pratyaya when asamprajnata samadhi is accomplished at the asmita level. A completely different effect results at this level of consciousness. The only thing present at this stage is pure, empty consciousness: only self-aware being. This is nirbija samadhi. The yogi must struggle with this completely empty state of self-aware being until it is learned how to achieve the final stage. In the Yoga Sutras, the aphorisms pertaining to nirbija samadhi and dharma megha samadhi are abstract, obscure and almost incomprehensible. Patanjali seems to say that, in the state of nirbija samadhi, one comes to experience the (seeming) emptiness between the moments of time. One learns eventually to perform samadhi on this emptiness between the moments of time. When this is successful, one has mastered dharma mega samadhi. One literally jumps out of time and into eternity. I kid you not. Go read the Yoga Sutras for yourself. I recommend Taimni’s commentary because he was a scientist and put things in terms a scientifically-trained person can understand. But even if you read other, less scientifically-oriented translations, they all translate these aphorisms similarly (see here). The issue becomes: how are they interpreted? Surprisingly, there is often complementarity to the different interpretations, even if they seem superficially different. Just for the heck of it, let’s show the aphorism pertaining to dharma megha samadhi and Kaivalya. They are a trip. Even if you don’t believe one iota of this stuff, these ideas make modern science fiction look totally lame. This is basically saying that the yogi is able to achieve nirbija samadhi at the asmita level and does not get trapped in the temptation of being omnipotent and omniscient in the worlds of relative becoming. The big fish rejects the little pond. Aphorism 4.33 should be of particular interest to those with an interest in physics, neuroscience, the philosophy of mind, or Kant’s transcendental idealism. It is interesting this was written at least as early as 250 AD, if not much earlier; no one knows for certain when the Yoga Sutras were created. Here Patanjali describes the quantum nature of time, and describes how to utilize this fact to escape from relative-ness. Literally stepping out of time and into eternity. WTF??? Anyway, the above is why nirbija samadhi and dharma mega samadhi are special. So, it got a little kooky at the end there. It can’t be helped. I didn’t write the Yoga Sutras. I’m just reporting on what they say. Hopefully the above at least explicates the ten types of samadhi, and shows the sequential progression from the surface to the inner most depths of consciousness via samprajnata and asamprajnata samadhi leading to the empty state of nirbija samadhi, and finally to Kaivalya via dharma mega samadhi. Like the Grateful Dead said: “What a long strange trip its been”. You saw the problem with Taimni’s translation and interpretation here yourself: “Taimni mapped the different forms of samadhi to … the 7-fold theosophical scheme”. Taimni says (page 34) that the seed of the Pratyaya is dropped, and that, when it is dropped (page 34-35) “the consciousness begins to recede automatically to its centre” – but then he goes on to say that consciousness will pass “momentarily” through something (it’s not specified) and then emerge into the next “vehicle”, and after that the consciousness will be taken up with the Pratyaya of the next “higher plane” … but what is in consciousness whilst the Pratyaya is dropped? If it’s nothing, then the meditator has achieved the final goal of pure consciousness or Kavalya. But Taimni doesn’t appear to see it like that at all – he describes how the meditator must go through many further stages before reaching Kaivalya, or pure consciousness. Taimni explains this away by saying, “The student should also note that throughout the recession of consciousness in the four stages there is always something in the field of consciousness. It is true that during the period of Asamprajnata Samadhi there is no Pratyaya but only a ‘cloud’ or void but a ‘cloud’ or void is also a cover on pure consciousness.” This seems unsatisfactory and incomprehensible. What is this “cloud”? Where is it mentioned in Patanjali’s aphorisms? In general Taimni seems very concerned to talk about “levels” or “planes” of experience, with an aim to tie Yoga into rather archaic “occult” Theosophical ideas, which muddies the whole interpretation. One might wish for a Taimni who never read any “theosophy”. Dear Nevi. Thank you for clarifying your point. It is a good point you raise and am important point. He addresses this issue somewhere but I cannot recall if it is in Science of Yoga or Man, God and The Universe. I will try best I can to recall what he said. It was something to the effect that every time the transition between planes occurs, one must pass through the center of consciousness (point ‘o’ in the diagram). The implication of this is exactly what you said, that, in principle, one has direct access to the final goal of pure consciousness. However, the actual facts are a function of one’s purity. If one is inexperienced and still bound to desires and thought-forms, one cannot access the center effectively, they cannot pass directly to Kaivalya. They cannot reach the required frequency (so to speak) to get to the very center, they can only go as far as they are purified to go. For most people, that means only the next plane over – vicara or the astral plane. If there are still samskaras binding the person, this will be like a weight and hold the person to lower levels. It is something like this. I think it was in Man, God and The Universe because he spends a lot of time in that book discussing the center of consciousness as a point, and all its properties. I think if you can find this material, you will see that he does consider exactly the issue you raise, and I really must say I am not doing it full justice here. He spends quite a bit of time discussing the properties of a mathematical point and the fact that it has zero dimension, and therefore allows one to enter into any number of dimensions. This is actually a pretty sophisticated view and is used, for example, in math and science all the time when discussing multidimensional spaces, such as in statistical mechanics or quantum mechanics. The cloud idea is in the Yoga Sutras. This is dharma megha samadhi. I believe “megha” means “cloud”. These are in book 4, and the aphorisms pertaining to dharma megha samadhi have the most diverse translations. No commentators seem to agree what this means. Even Taimni seems to falter here. Dharma megha samadhi is the transition from nirbija samadhi to Kaivalya. It is the final transformation of yoga. The last step. Having not directly experienced this, I am in no position to know what it means. But intellectually, my guidepost is what J.J. van der Leeuw describes in Conquest of Illusion, in Chapter 2, where he describes flipping inside out so that the entire universe that seems external to us becomes internal to consciousness. I assume that this flipping inside out transition IS dharma megha samadhi. Anyway, yes, the “cloud” idea is there, and Taimni seems to apply it in a more general way than Patanjali does. Again, I am in no position to judge if Taimni is correct or not in doing this. Seeing that I cut my teeth on the classic theosophy of Besant and Leadbeater, I found it helpful that Taimni drew references to this view of things. If someone has learned a different scheme for the organization of the inner planes, I can see how it would only confuse the issue. I am at least grateful for a Taimni who did know theosophy. It is the main link that let me understand Taimni. Again, Nevi, thank you for the intelligent and constructive input. Perhaps it’s a measure of Taimni’s theosophical agenda that I failed to realise that the ‘cloud’ that he spoke of in the context of Asamprajnata Samadhi in his interpretation of Sutra I-17 was the cloud involved in Dharma Megha Samadhi. In translating and interpreting Sutra I-17 Taimni says, “The void of Asamprajnata Samadhi is sometimes called a ‘cloud’…”, though it doesn’t incorporate the cloud metaphor into its Sanskrit name. Taimni seems to say that the meditator passes through a sequence of these clouds until he comes to ‘the’ cloud of Dharma Megha Samadhi (which does incorporate the cloud metaphor in its Sanskrit name). It’s puzzling the way Taimni says that “…Samprajnata Samadhi with its characteristic Pratyaya and Asamprajnata Samadhi with its void follow each other in succession…”, and I reiterate my question as to why this “void” cannot be characterised as pure consciousness (and therefore the end of the quest). You say that, in this void, “If one is inexperienced and still bound to desires and thought-forms, one cannot access the center effectively, they cannot pass directly to Kaivalya,” but I can’t help wondering how attachment to thought-forms and desires can exist in what is described as a void, if what we are speaking of is a void of modifications of consciousness. I admit that the interpretation of the Sutras is even now a recondite subject, with few clear expositions, though I can’t help feeling that Taimni is somewhat disingenuously bolting Theosophy onto his idea of their structure to lend the latter credence. However, I may be entirely wrong. Hi Nevi. Thanks for the thought-provoking conversation. If you peruse my blog you will see that yours is perhaps the central question my writings are aimed at addressing. Which is to say: what does it mean to pass amongst states of consciousness? How does it happen? To this point, given both all my reading and my experiences in altered states, I have found Taimni’s ideas as captured in his diagram (Figure 2 above) the most cogent. But, the bottom line is, I don’t know. I am trying here to explore these issues in the best way I can. Input from people like you helps a lot to raise important questions and have a serious conversation about these matters. As to Taimni’s relationship with theosphy, I guess ultimately it was his business. I feel he put it all to good use. In my opinion, his writings do more to legitimize theosophy than any other I have read. This does not mean I buy theosophy hook, line and sinker. Like any partial truth it is, well, partial. For some things it is useful, for other things not so much. As I progress in my intellectual studies, I see more and more clearly how theosophy is just a simplified caricature of the real Hindu scriptures. Ultimately, what’s the point of a middle-man if you can go to the source? So in this I can appreciate your hesitations towards theosophy. But I am sure theosophy has done a lot to introduce Western people to the teachings of Indian philosophy, and in my mind, this can only be a good thing. Many confusions are cleared now. I am thankful. The “cloud” is your “Iness” trapped between Bliss and Abyss. Once you surrender your Iness, the Infinite Rock (the “guardian” of the Void Portal/Sunyata) allows you to get through and attain Kaivalya. I know of the Void Portal as a fact, but my fear was in high gear, so I just fell back in the human shell. You have no idea how scary that Infinite Rock really is. Be brave and dare! Well, no question this way of thinking presents a problem to people who don’t believe in reincarnation. Its hard to make a judgement call considering yoga came from a culture that does believe in reincarnation. Kinda goes with the territory. Besides, Patanjali says straight up that the results to accomplish the end goal depend on your intensity: mild, medium or large. This sounds consistent with the quote you provided. I suspect Taimni’s comment was intended for the average person who probably would require multiple lives to get the ball rolling. In general, I agree with the general point, especially for people born into Western cultures, which I consider bad karma on a spiritual level. Such people have quite a spiritual hole to climb out of just to appreciate the need to even do yoga. Again, Nevi, thanks for the comments. Best, Don. I feel that perhaps primarily I’m on a search for the most accurate translation and interpretation of the Sutras, and one that is written as little as possible through a subjective lens of an approach other than that of Yoga. I feel that for Taimni, theosophy came first, and that he felt that a synthesis of theosophy and the Sutras simply had to be made. Thank you for your very interesting and insightful commentaries. Here are given 7 translations of aphorism 1-18. Recognizing that I am by no means an expert, let alone a novice, in Sanskrit, looking at the aphorism itself, the main word that stands out to me is “samskaras”, the latent impressions that create our karma. This is what I talked about earlier about “purity”. The relative purity is how much samskara is still active. My understanding of raja yoga is that, once samadhi is learned, the next major goal is to “burn out” the samskaras; to make them like a burnt seed that cannot germinate, as one of the other aphorisms describes. So, the aphorism is talking about a state of samadhi lacking a pratyaya but containing samskaras. My guess is that what Taimni is doing here is taking his diagram (Figure 2 above) and generalizing that any time there is passage through the center of consciousness (‘o’), this can occur with some degree of samskaras still acting as a drag or weight on the aspirant. But in all cases he seems to refer to the passage through ‘o’ as asamprajnata samadhi. Perhaps he is reading in more here than is written in the Yoga Sutras, but I cannot speak to that with any authority. Yes, I understand this urge. I too have been driven by the same. But as I continue to learn, I wonder if such a thing exists. I say this because yoga is not an intellectual study, like say mathematics, but is meant to be a practice. As such, the Yoga Sutras may be more of a “guide book” than a precise exposition. Further, because of the very nature of yoga, it takes one beyond the mind and into super-mental realms of experience. Therefore, only so much can actually be described with words and language. At some point, words completely fail to describe the realities and experiences. So, I see there is a pitfall in trying to intellectually understand the Yoga Sutras too much. One must practice, and through practice learn the real truths, truths which cannot be contained as ideas and concepts. So, I am now less inclined to put too fine a point on some issues. Instead, my efforts have been directed towards interpreting the Yoga Sutras in such a way as to facilitate the actual practices of the eight limbs, and in particular yama and niyama. It seems to me that an at least properly oriented (as opposed to mathematically precise) intellectual understanding of the Yoga Sutras falls under “niyama” in terms of studying the scriptures. So, the efforts I make here are directed at linking mainstream Western ideas to things discussed in the Yoga Sutras. I will close here. Again, Nevi, thank you for the constructive, stimulating, and interesting conversation. Best wishes, Don. 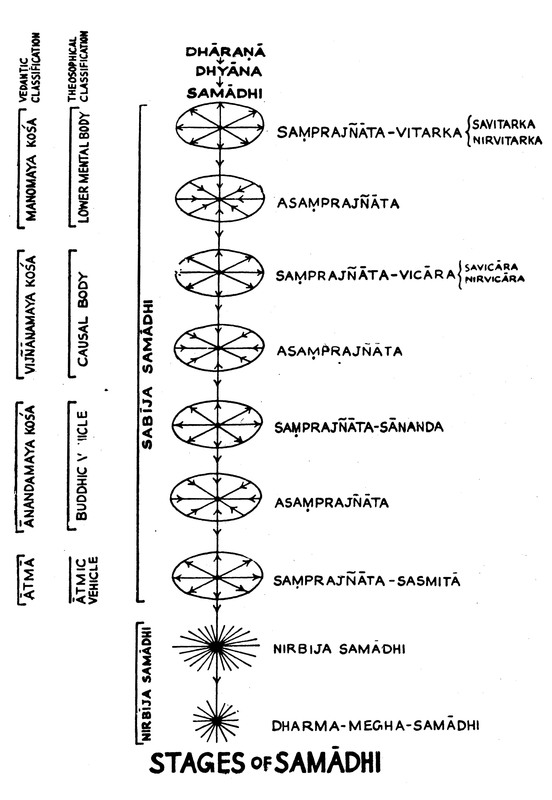 I am doing some research into the different levels of samadhi and how they relate to Sabija vs Nirbija. Is it that Taimni’s interpretation shows that Asamprajnata is a part of sabija? Or are you interpreting his interpretation and saying that Asamprajnata is a part of sabija? The reason why I ask is because most interpretations show that Asamprajnata is actually the same as Nirbija. My sense is that Asamprajnata is a transitional state to Nirbija. What seems to be the classical view according to Patanjali’s Sutras and a more modern view of Asamprajnata (if there is one of course)? I apologize if my wording is confusing and I hope it comes across clearly. Blessings. Thank you for commenting and for your inquiries. Yes, I am merely repeating Taimni’s ideas and am not overlaying any of my ideas. Somewhere in Science of Yoga he makes the comment that some people claim that nirbija and asamprajnata samadhi are the same. But then he says: if they are the same, then why would there be two words to describe the same thing? So, he teaches very clearly that nibija samadhi is very different and distinct from asamprajnata samadhi. According to Taimni, asamprajnata is not the transition to nirbija, as you suggest. 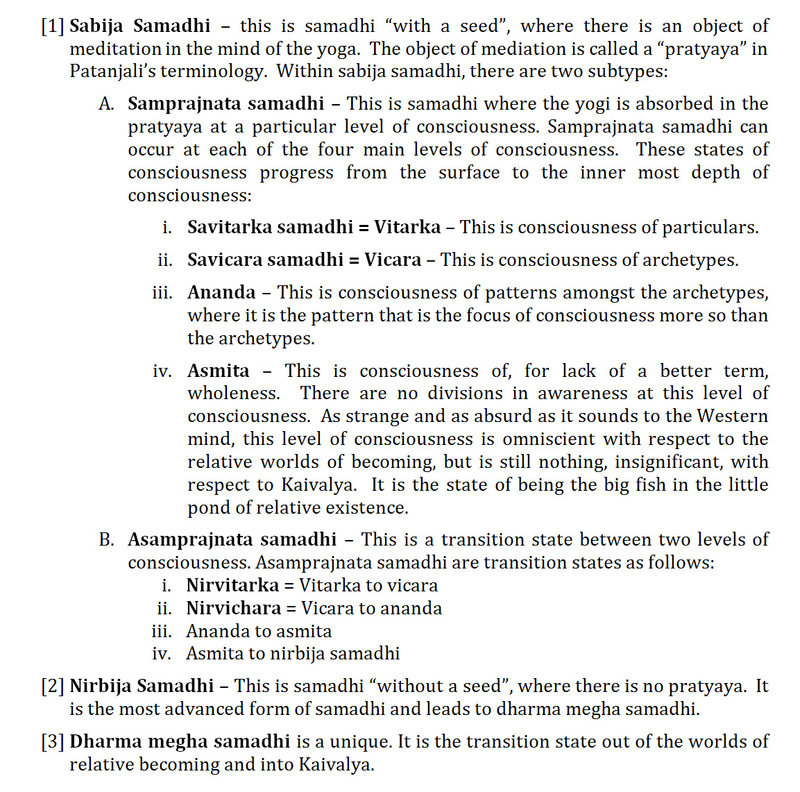 As you can see in Figure 3 above, asamprajnata is the transition between two different levels of consciousness. Asamprajnata refers to the process whereby one lifts their consciousness to the next higher plane, for the purpose of continuing samadhi on the pratyaya at that new plane. As I say above, to understand all this, one must understand there are 4 planes or levels of consciousness described in the yoga sutras (vitarka, vicara, ananda and asmita) and that the yogi must be able to master samadhi on all four levels. Also as Figure 3 indicates, nirbija samadhi is an extremely special state of consciousness. It is the fulfillment of “chitta vritti nirodha”, when the mind is completely emptied of all vrittis, and samadhi can then be performed on the pure consciousness or chit (or I use the term dismatrah as well throughout my writings for pure consciousness). Success at this level gives rise to dharma mega samadhi, which is the final transition to Kaivalya, or enlightenment. I hope this clarifies your questions. Please feel free to ask until Taimni’s scheme is clear. Firstly I wish to thank you from the bottom of my heart for writing such a beautiful blog. There are very few sources available on the internet which have explained these concepts as objectively as you have. I had a question on similar lines. In both stages of transition (nirvitarka as well as nirvicara) the ‘seed’ ceases to exist. So do they still fall under sabeeja samadhi? Also I had read about the types of Nirbeeja Samadhi where the samadhi is disturbed due to ignorance of the yogi (Bhava Pratyaya and Upaya Pratyaya). Can you throw some light on this? I am a beginner to Indian philosophy and all my knowledge is due to secondary sources (and not on a reading of Patanjali’s Yogasutras or even Taimini) I apologize if I have written something improper. Thank you for the very kind comments. They are a great compliment and I am humbled by them. I am only perhaps a little further along on the yoga path than you since I have some experience with moving into the inner worlds of the mind, but most of my understanding is like yours, from secondary sources. I am no expert either so please take any of my comments as mere suggestions. You had two questions and I will offer comments on each. About nirvitarka and nirvicara, I do not consider these to be sabija samadhi but to be forms of asampranjnata samadhi. You said the answer in your question: since the “seed” (pratyaya) ceases to exist, then by definition, these are not sabija samadhi. Both are momentary transition states between different levels, or phases, of the gunas. Please allow me to explain to clarify. You know that water forms vapor (gas) or liquid or solid (ice). These are the different phases of water. It is analogous for the gunas. All that we take to be physical matter are the vitarka gunas. The vicara gunas are what we perceive as our mind and thoughts. Mind and though are the 2nd phase of the gunas. Ananda and Asmita are the 3rd and 4th phases of the gunas. We cannot directly perceive them in our physical life. They affect and influence us, but we cannot perceive them when in our physical bodies, awake in the physical world. As ice melts to water, we can move amongst the phases of the gunas. How this is done is taught in the yoga sutras. Samadhi is a mental state we can learn that allows us to move amongst the phases. Sometimes we move amongst the phases automatically, for example, when we sleep and when we die. Yoga teaches how to voluntarily control moving through the phases of the gunas. When you move from one phase to another, you pass through a transition state that lasts only for an instant. This is what asamprajnata samadhi means. When you exit a phase of the gunas, Patanjali give it a specific name. Exiting vitarka is called nirvitarka. Exiting vicara is nirvicara. For the other two exits, Patanjali just says “and the others” and doesn’t name them. There is no pratyaya during the momentary transition between the phases of the gunas. I detail this in Chapter 10 of Yogic View of Consciousness, which you may wish to consult. In that Chapter I made a diagram, Figure 2, which is meant to illustrate and summarize this sequence of transitions amongst the phases of the gunas. You asked about the meaning of aphorisms 1.19 and 1.20 that describe Bhava Pratyaya and Upaya Pratyaya. Before writing this answer, I spent time looking into the issue and discovered this is a controversial part of the Yoga Sutras. There are many different interpretations of both aphorisms. You can see examples of various translations at this web page. I cannot claim to know the meaning of these sutras any better than the many people more expert than me who have commented on them. The main commentary I follow is that of I.K. Taimni in his book the Science of Yoga. Looking at Taimni’s commentary (which starts on page 46 of the PDF file), first, he acknowledges the controversy and second, states that he will present what he takes to be a logical interpretation in the flow of the aphorisms of this section, which is intended to give a broad overview of the yogic methods. On this basis, he suggests that 1.19 describes how some people, called bhava-pratyayo, are born with yogic skills (that have come from a previous life). This means the person in this life may not understand why they have these abilities or how to use them properly. Taimni interprets 1.20 to refer to people that have followed Patanjali’s methods in this life and learned how to perform samadhi the correct way and who know how to use the skills properly, which is called upaya-pratyayo. When you look at the other translations, some of them are similar to this interpretation, even if they are not exactly the same, but other translations are very different in meaning. The ones that are very different in meaning refer to spirits and non-human entities (here is a web page that discusses this issue in more detail). 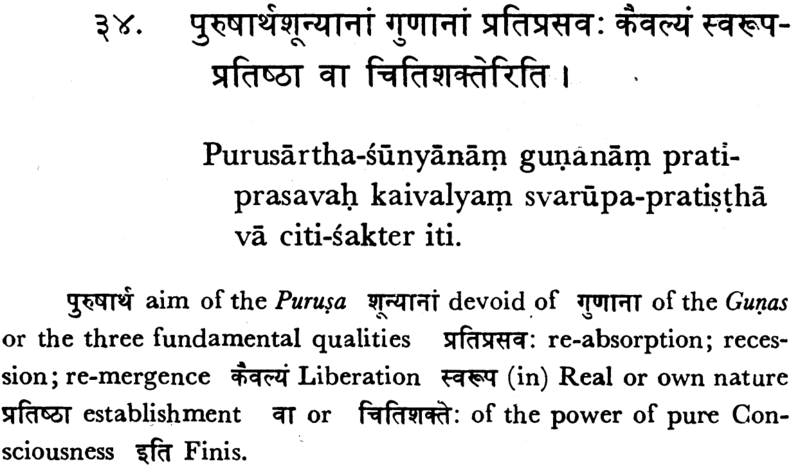 It seems unlikely that Patanjali would talk about other spirits in the flow of the aphorisms in this section of the Yoga Sutras, so Taimni’s interpretation does make sense to me. It is a funny coincidence that you would ask me about this question right now because I am writing the final chapters of the Yogic View of Consciousness and this is the topic it focuses on: how people have discovered the other states of the gunas (which generally are called “altered states of consciousness”) but how the understanding is inferior to that provided by Patanjali in the Yoga Sutras. I was not guided by aphorisms 1.19 and 1.20 while writing these chapters. But if Taimni’s interpretation is correct, then I am actually writing commentary for these two aphorisms right now! I guess it is fate that you asked me this question now so that I can consider it while I am writing the final chapters of Yogic View of Consciousness. Thank you for that! I hope these answers help you understand a little better. Please feel free to ask any questions to help clarify your understandings. Thank you again for getting in touch, Mangesh, I appreciate it very much. Excellent website and author provides great help to society at large. access them and learn different types of eight limbs and samadhi. I pray to God that mankind can make use such beautiful websites. Thank you for the most kind and gracious comments. They are deeply appreciated. No, there is no Malayalam translation. Are you capable of translating the article? I found this excellent article years ago, while trying to understanding Taimni and the Yogasutra. Traditions are difficult to follow, but they tell the same story. I feel that Buddhism makes an excellent explanation of what are the stages to reach in Samma (right) Samadhi. I found strange that no one tried to openly discuss the logics behind the two methods, I think it would help a lot of meditators from different schools in their practice. Perhaps you can write something about. In buddhist practice, the last noble path of eight (hint!) is reaching samadhi (absorption). Actually they are a series of specific mind states called jhana. They are called first, second, third and fouth, which is actually simpler to follow than Patanjali classification. 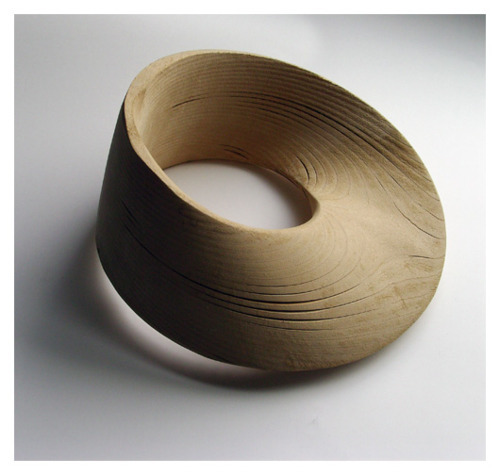 The first one is the result of mastering 5 factors: vitacca, vikara, pitti, sukha, ecaggata. Notice that most of these terms are the same in sanskrit but with different definitions. Dropping these mind factors one by one is the way to get to more refine states. The fourth one is just ecagatta (one-pointedness) with added Upekkha (equanimity). You can also reach other four states, called arupa jhana, which the buddha learned from indian Brahminic masters called Uddaka Ramaputta and Alara Kalama. This are the samadhi based on space, consciousness, nothing, and neither-perception-nor-no perception. There is also a ninth state called nirodha, which is total cessation of perception (but even this one is not enlightenment, which is a state realized after getting the right insight on the characteristics of the world). It is also known that if you apply jhana while dying, you will be reborn in the plane of that specific jhana. I hope my words can be useful for your studies, you can find a lot more on wiki. I still remain curious about what the relationship is between this classification and patanjali, since the end (Kavalya) seems similar to me. 1. the term yoga in the light of Patanjali Yoga? 2. Yoga is practical Samkhya, “Samkhya is Theoretical yoga” Pls explain. Thank you for posting to the blog. 1. I answer this a lot in my writings, but the short answer is: yoga is stilling the mind. What that means is very deep and I recommend you read my book Samadhi to get the quick version. 2. Samkhya is the philosophy associated with yoga. It helps explain what occurs when one practices yoga. Just like today in physics you need theory and experiment to have a complete science, for yoga you need the practices and the theory to understand the practices. I hope this answers your questions. Happy New Year! I think this whole process of finding the final state of Samadhi is a lot easier to do if one can understand what thinking really is. This site had mentioned removing time from the mind and i guess thinking is that time in mind. Thoughts separated by a quiet space in between thoughts. If you can find a really easy way to stop thinking then you are already in the final stages of Samadhi. You notice in meditation a mantra is really a distracting to your mind away from thinking so it becomes silent. But look at the thinking process itself – it is with time the creator of illusions or lies in the mind. Patanjali wants us to get rid of this thinking so when in silence in mind you can see the real thing. Tell me if I am wrong but this is the gist of it right. There is a Truth in the lies in me, stop the lies created by thinking and the Truth or reality shows itself. Remove the lies and the Truth is literally staring you in the face. So here is the gem in all of this: what really is thinking. If I can find just what the source of thinking is or to see its process clearly then I won’t need that mantra or to sit in a corner of a room cross-legged to be silent in mind and void of thoughts. I need to be in that meditative silent state of mind in realtime while I am up and about my daily activities, completely silent in mind whenever I want to. So what is thinking? There are different types of thinking. -You notice that there is a kind of pictorial thinking like in daydreaming. Just watching images pass your mind. You will notice that you cannot interact with these images and change them or spin them in images into an idea. -There is a different type of thinking which I call self-talk thinking. I call it “speak thinking”. This type of thinking is very flexible and is also responsible for spinning an idea in the idea. It creates all the illusions and lies in your mind. I think this is the type of thinking that Patanjali wants to do away with to you can get to that quiet Samadhi space in mind so you can see reality for what it is and also what your true self is and its relation to the whole universe. Not just see it in mind as an idea but actually to be in that samadhi space and become one with it. What if I told you that this self-talk thinking is sound- first type of thinking. For you to think at all you need to self-talk what you want to think and if you don’t you cannot think at all. The brain needs to hear what you are thinking for it to process what you are thinking. If it does not hear you via silent self-talk then it does not know what you are thinking and it cannot process your thoughts. This is an anomaly in us that self-talk is wired up to the thinking process. The movements in the vocal cords are minute and the brain needs to hear what you are thinking to know what you are thinking. You can try it now: think something and see if you have to self-talk it too for you to be able to think at all. So you can see how you can silent your mind immediately if you want too – just break the link and do not also silently speak what you are thinking. You can now see why you use a mantra during cross-legged meditation – to distract you from your thinking. – you will almost immediately find your mind in the quiet zone if you stop self-talking your thinking. This quiet state is easy to maintain because of the link between self talk and thinking. Self-talk is a physical process which is easier to control like raising your arm rather than concentrating on an intangible process of the mind like thinking to stop thinking. Don’t self-talk thinking is not allowing your mind to hear your thoughts then it has nothing to process. – In time and the longer, I spend in this quiet space I also found my mind had reverted to a kind of intuitive-stream-thinking mode and me to a listening mode only. This is only a receiving space. I cannot manipulate the information I get from this entity that I am communicating with. I can ask a question and get an answer via intention in mind. There is a sense of knowing in this space and everything seems true. I think it is an evolutionary space. It is quiet and peaceful. Hence you want to stay in it longer. I think it is an evolutionary space. I seem to develop certain “powers” the longer I stay in this space. As time goes by I seem to b able to communicate with my background noise. I understand what it is saying through tonal-modulations. I wonder what new powers I will develop with time the longer I stay in this newly discovered space in my mind. I think I found the last place in Samadhi by just knowing what the process of thinking was all about – self-talk first if not the brain will not know what you are thinking. Pictorial thinking in time will also disappear in this space the longer you spend in it and you will end up staring at your true self when all else is gone. Thank you for your insightful comments. It is very kind of you and adds very much. The distinction between the image and self-talk aspects of thinking is very useful and I think your conclusions are generally correct. The only point I would make in addition is: what is the source of the images and self-talk? The answer is these stem from the deeper unconscious layers of the mind. They are hidden movements that give rise to the movements in the mind of which we are conscious, i.e. the images and self-talk. Don’t forget Patanjali points out the need to get to these deeper levels to “burn the seeds of the kleshas and samskaras” so as to allow the mind to stay in the quiet (nirodha) state for as long as it wishes. Hi, Thank you for your feedback. Much appreciated and this idea of self-talk thinking was difficult to get across to busy minds. I think thinking is the culprit that we need to control. Thinking is also responsible for the Kleshas (mental states) and Samskaras (patterns) and notice that when we stop thinking and be it in a mechanical way half the battle is won with the patterns created by the mind. Some of the Kleshas are inherently build in into our psyche and to keep thinking off the mind (apart from just using them for practical purposes) will help subdue them and not allow them to keep rising and taking one further away from Nirodha. I am not used to the Sanskrit terms and hence had to look them up, and have come to most of my discoveries through observation and with the help of websites like yours. I see that the state of Nirodha is very much like that space one experiences when all thinking ceases yet the resultant state of being is very much alive and is an interactive space with a kind of intuitive form of thinking. I think (observe) the mind space is evolutionary and at times can be completely silent. This 2nd mind is a long way away from the mind that we know.